• Who Will Pay for Kim's Hotel Bill? Another day, another bombshell on the Russiagate front. On Saturday, the New York Times revealed the contents of a letter sent to special counsel Robert Mueller on January 28 of this year by Donald Trump's then-attorneys Jay Sekulow and John Dowd (the actual text of the letter, with annotations by the Times' staff, is here). The letter is, in brief, a ham-fisted attempt to persuade Mueller that he should not, and that he can not, subpoena (or indict) the President. By the time Trump intervened in the Michael Flynn investigation, the investigation was all but over. Ipso facto, it couldn't be obstruction, because you can't obstruct an investigation that is complete (or nearly complete). And besides that, Trump ended up firing Flynn, anyhow. So, Trump is one of the good guys here. Trump has turned over so many documents to the Special Counsel that there is no need for an interview—everything's in the documents. This whole investigation is illegitimate, because it is likely a byproduct of "corruption within the FBI and Department of Justice". The potentially incriminating things that Donald Trump said in his interview with Lester Holt may not be reliable, because the American people may have misunderstood the President. The memos that were written by former FBI Director James Comey may not be reliable, because Comey may have misunderstood the President. And besides that, the key memo—Comey's account of his discussion with Trump about Michael Flynn—might not even exist. (Note: A couple of months after the letter was written, this memo was leaked, so it definitely does exist). Again, this is a "throw everything in there but the kitchen sink" kind of letter. A President can also order the termination of an investigation by the Justice Department or FBI at any time and for any reason. Such an action obviously has an impact on the investigation, but that is simply an effect of the President's lawful exercise of his constitutional power and cannot constitute obstruction of justice. We remind you of these facts simply because even assuming, arguendo, that the President did order the termination of an investigation (and the President, along with Mr. Comey in his testimony and in his actions, have made it clear that he did not) this could not constitute obstruction of justice. Emphasis is ours. What the President's attorneys are saying is that it is literally not possible for the President of the United States to commit obstruction. Since the president leads the Dept. of Justice, they assert, he is allowed to issue any order about a DoJ investigation, or to fire any person involved in a DoJ investigation, with impunity. And while it is true that Trump now has new representation, current lawyer Rudy Giuliani quickly got on ABC News to affirm his support for the contents of the letter, and to declare that if Mueller tries a presidential subpoena, then Team Trump will fight back in court. One does not have to be a lawyer to detect some pretty serious problems when it comes to the argument that Trump's lawyers are making. Most obviously, what they are proposing is something very close to papal infallibility—that as the enforcer of the laws, it is not possible for the president to be investigated for breaking the laws. Clearly, the Founding Parents did not intend to create a position that was above the law. And if we consider any other area of presidential authority, it is clear this argument does not hold water. To take but one example, the president is empowered to command the United States' military forces, and has broad authority when doing so. But he cannot order his commanders to do something unethical, like bomb his political opponents' houses. There are clear limits to his power as commander in chief. To take another example, the IRS answers to the president, but the president cannot order them to refund his taxes or to cancel an audit. If that was indeed possible, Trump would have exercised that privilege months ago. It is also clear that Trump's lawyers know that they are treading on shaky legal ground. Note, for example, their argument (early in the letter) that Trump's involvement with Flynn couldn't be obstruction because the Flynn investigation was almost over. That clearly implies that it could have been obstruction if it had taken place early in the process. Which, in turn would only be possible if a president can commit obstruction. So, the letter is internally contradictory. Similarly, the letter cites the Victim and Witness Protection Act of 1982 in support of its arguments. That act lays out the definition of obstruction, but—as Trump's attorney's correctly observe—does not apply to FBI investigations. What they are conveniently ignoring is that statutes passed 20 years later explicitly extend the definition of obstruction to include the FBI (and other circumstances not covered by the 1982 act). Generally speaking, when someone is cherry-picking laws so haphazardly, it is not a sign of confidence in one's position. In short, legal experts are underwhelmed by what Trump's lawyers had to say in their letter. But the real truth is this: Whether one is pro-Trump or anti-Trump, legal precedent is mostly irrelevant here, for two reasons. First of all, because we are in such uncharted territory right now that there is very little precedent to work with. Anyone who says the answers to these questions are crystal clear, and have already been established in past decades or centuries, is selling something. Second of all, because if we are talking about impeachment, that is a political act as much as a legal act. As we are fond of noting, when then-representative Gerald Ford was asked exactly what the Constitution means when it says the president can be removed from office for "high crimes and misdemeanors," he said "An impeachable offense is whatever a majority of the House of Representatives considers it to be." And for what it is worth, the very first charge the House was prepared to bring against Richard Nixon was...obstruction of justice. It's true that Dowd and Sekulow are lawyers and not graphic designers. 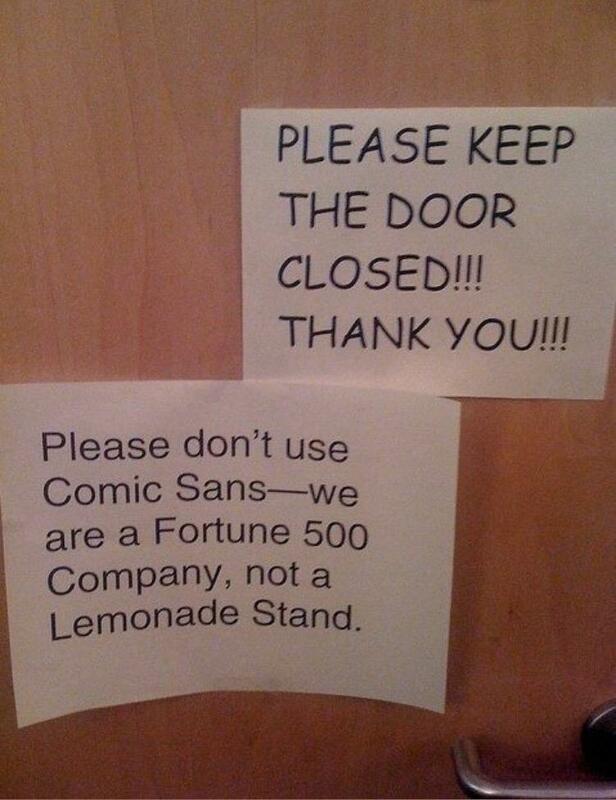 However, it's also true that 99% of people for whom professional-looking documents are important learn very quickly that comic sans is verboten. Which ship is the leaky one: the S.S. Trump or the S.S. Mueller? Who benefits from the publication of a document that lays out all of the pro-Trump arguments in great detail: Trump or Mueller? Again, anything's possible, but anyone who bets that Trump has the right of it should probably stay away from Las Vegas. When Donald Trump fired the first salvos in a possible trade war, slapping protective tariffs on friends and foes alike, everyone predicted that American farmers and businesses would suffer. It certainly didn't take long for everyone to be proven correct. To start, there are the farmers. Specifically, Iowa's pork producers, who were a target of retaliatory tariffs from the Chinese government, and are about to be the target of retaliatory tariffs from the Mexican government. A new report says that their loss already tops $560 million, and that it will climb higher if Mexico does not back down from its threats. That money is already gone, and won't be back even if the Trump administration changes course. Meanwhile, the effect has been even bigger on firms that use steel and aluminum in their products—well into the billions of dollars. In this case, there is a double whammy: While manufacturers can raise the price of their products some, they have felt compelled to eat some of the added costs so as to remain competitive. So, these manufacturers are making less money on the products they sell. Meanwhile, the higher prices have caused many consumers to order cheaper products from abroad. So, these manufacturers are also selling less. Needless to say, reduced sales and smaller profit margins—at the same time—do not make the manufacturers happy, and do not bode well for things like employment and stock prices. The GOP is now pretty much the party of Donald Trump. However, there remains a small but vocal rump of more traditional Republicans in Congress, particularly in the Senate. And according to one of those folks, Sen. Bob Corker (R-TN), they are at work on possible legislation to curtail some of the powers that they think Trump has used a bit too indiscriminately. Most obviously, the GOP was—until recently—the party of free trade. Protective tariffs, trade wars, and the cancellation of free trade pacts all run contrary to that goal. Further, the power to regulate trade quite clearly belongs to Congress. So, Corker & Co. may try to reclaim some (or all) of that authority. Similarly, the GOP likes free markets, and not government management of portions of the economy, like the energy sector. So, Trump may soon find his wings clipped when it comes to his plans to order electrical utilities to purchase coal- and nuclear-based energy. There's a decent chance that Donald Trump did not know what "federalism" means on the day he was sworn in as president. However, he's quickly learned to hate it, as blue states use their Constitutionally-delegated rights and responsibilities to push back against the Trump administration's policies. At the moment, with the elections and key Obamacare deadlines both looming, their focus is on healthcare. There are two distinct strategies that are being pursued to save Obamacare (or, at least key parts of it). The first—in view of the GOP-controlled Congress' move to kill the federal tax penalty for not being insured—is to establish state tax penalties instead. Vermont and New Jersey have recently passed such laws, Massachusetts already had one, and California and Maryland are considering it. The second strategy is to limit, or outlaw, short-term insurance policies that are cheap but don't cover much—a form of "junk" insurance. Obamacare allowed people to carry such policies for only 3 months; the Trump administration raised it to 12 months. The good thing about short-term insurance is that it allows healthy people to fulfill requirements at minimal cost. The bad things are that those who hold such policies often find themselves unable to get needed treatment, and that the cost of long-term policies increases dramatically when healthy people leave that segment of the market. Hawaii and Maryland have already adopted laws placing severe restrictions on short-term insurance, while California's legislature has passed a bill that is waiting for Gov. Jerry Brown's (D) signature. We've avoided this item for a week, as it is dangerously close to being a conspiracy theory, and we are fans of things like facts and evidence around here. However, the story has lingered long enough, and gotten enough attention from serious media outlets, that we will now mention it. In short: First Lady Melania Trump had fairly minor surgery on May 14, and has not been seen in public since. She even skipped out on all the various Memorial Day festivities, which are generally among the more important ceremonial functions of the first lady. And so, people are asking: Where is Melania? It's funny, but it's also fake, as Mr. Sobreiro freely admits in his Twitter feed. Trump is actually recuperating in New York but, presumably for PR reasons, is hiding that fact. Trump is vain, and doesn't want to reappear until her face/body no longer bear the signs of her surgery. Trump loathes being First Lady (which is basically a fact) and is using the surgery as an excuse to escape her official duties (and possibly her husband) as long as is possible. EPA Administrator Scott Pruitt has a hard time getting through a whole week without attracting attention for one decision or another that veers dangerously close to corruption (or that jumps right in to the deep end of the corruption pool). The latest: He dropped nearly sixteen hundred bucks on a dozen ball-point pens emblazoned with the EPA seal and Pruitt's signature. That's $130 a pen. Who Will Pay for Kim's Hotel Bill? At the moment, the June 12 summit between Kim Jong-Un is still on. And a story in the Washington Post serves as an excellent illustration of how difficult these things are to plan, and why Donald Trump's last-minute, on-again off-again flip-flopping is pushing the employees of the State Dept. to their limits. At issue, in this case, is the bill for Kim's hotel room.